After a hectic week what is one thing that you crave the most? After a hectic week what is one thing that you crave the most? A "relaxed" weekend trip to a nearby location, away from the hustle and bustle of the city life, nah? Twinkle Khanna did just that. The actress-turned-author is spending her weekend away from Maximum city. The former actress also shared photos from her weekend getaway on Instagram. The caption suggests that the place was suggested to her by none other than her mom Dimple Kapadia and Twinkle admits that her "mother knows the best". "A relaxing weekend despite being part of a group with almost a dozen children. In love with the place. P.S Mom has been telling me about it for ages and finally I am here ! The few times when you have to admit that mother knows best. Twinkle Khanna often delights her fans with photos from her vacation and the posts receive whole lot of love on social media. Last month, Twinkle along with husband Akshay Kumar and daughter Nitara jetted away to Italy for a short family vacation. She also shared photos on Instagram from her Italian retreat. 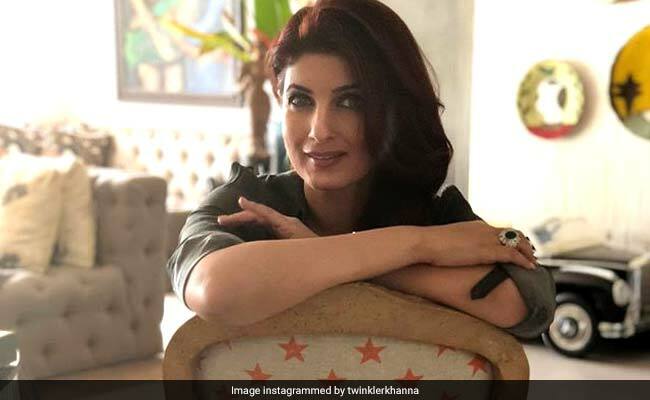 On Thanksgiving, Twinkle Khanna wished her Instafam with a picture of herself on Instagram, which appears to be from her last winter holiday. "HappyThanksgiving! Waiting for the winter break where I will go back to drinking wine with a slice of cheesecake. Did that last year and came back a little rounder and a lot happier, "she captioned the photo. Twinkle Khanna is married to superstar Akshay Kumar in 2001 and the couple welcomed their first child Aarav in 2002. Their daughter Nitara was born in 2012. Twinkle Khanna has authored three books, Pyjamas Are Forgiving being is her latest one.